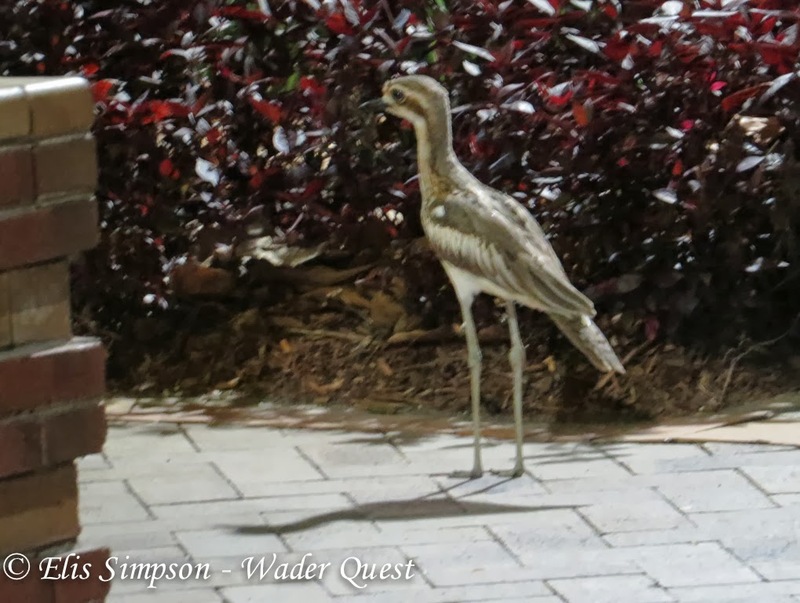 Although we didn't maintain our run of seeing new birds at our arrival airport, we did get the latest bird for the Wader Quest list outside our hotel in Cairns, in the street!!! Bush Stone-Curlew. 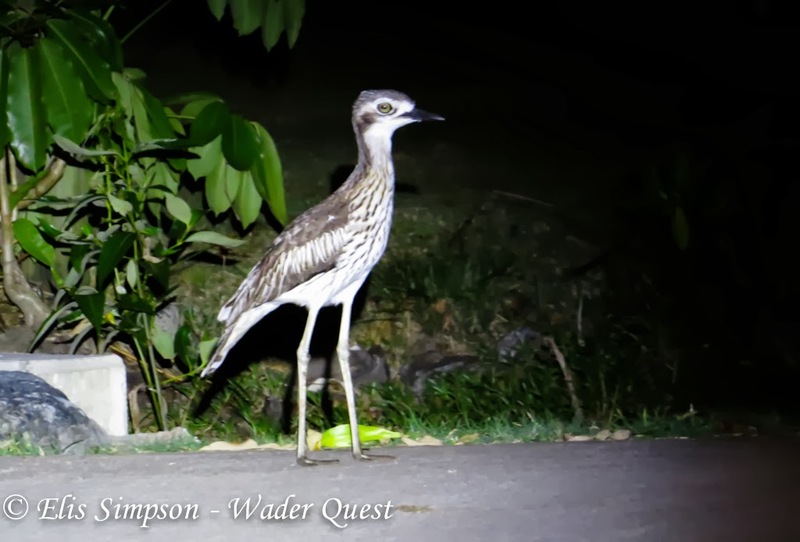 Bush Stone-Curlew Burhinus grallarius: illuminated by street lamps, Cairns, Queensland, Australia. It seems that these birds are all around the town, coming out at night and patrolling the streets. 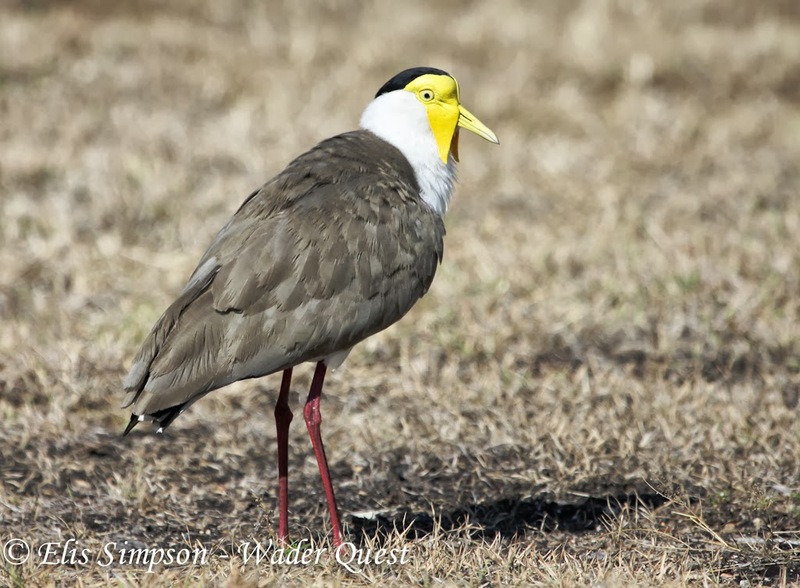 Their place is taken by Masked Lapwings during the day. 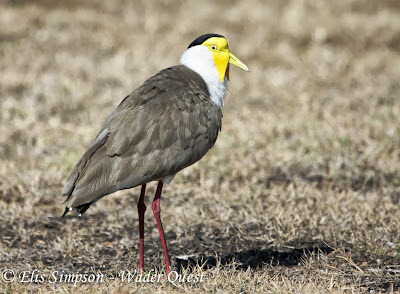 Masked Lapwing Vanellus miles miles: On a deserted lot along the sea front, Cairns, Queensland, Australia. We only stayed one night in that hotel, despite the birds, as it was horrendously expensive and they wanted to charge extra for parking and wifi! Found a place today that saves us 100 AUD a night and has free parking and wifi. Saw more Bush Stone-Curlews tonight. We hope to try and find some in daylight to get better quality pics of them. Bush Stone-Curlew B. grallarius: one for The Urban Birder I think!